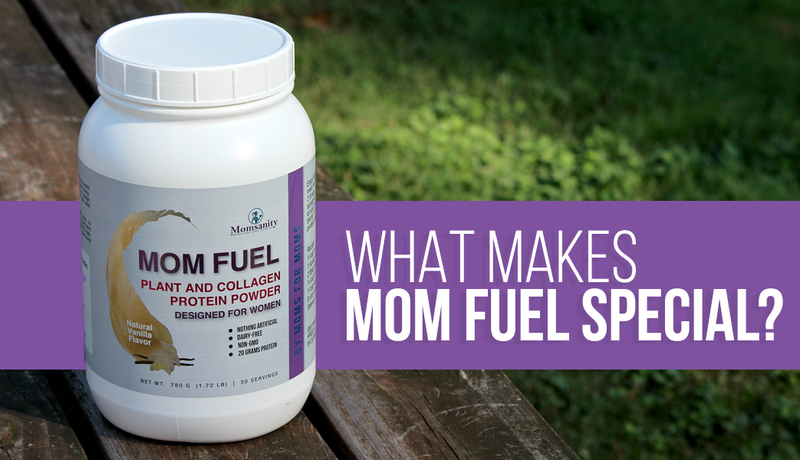 What Makes Mom Fuel Special? Purchasing nutritional products can be really overwhelming. There are about 1000 options available for just about everything these days. If you’re like me you might just want to avoid it all together. I get it. The quest to find quality products is challenging. I mean REALLY challenging. The truth is most manufacturers aim to create the cheapest products possible to maximize profits. In this culture you get people to buy nutritional products by making them look and taste good. I find that often the same women that spend energy and effort counting macros are the ones using products full of junk. Junk like artificial flavors, colors, sweeteners, preservatives, and cheap sources of protein. I mean, it’s protein powder so it must be good for me right? Enter Mom Fuel. It satisfies all of the MUST haves and the NICE TO HAVES that we talked about in THIS article AND it tastes amazing too. As in our kids beg for it because it smells like creamy caramely vanilla cake and tastes and blends like a milkshake. 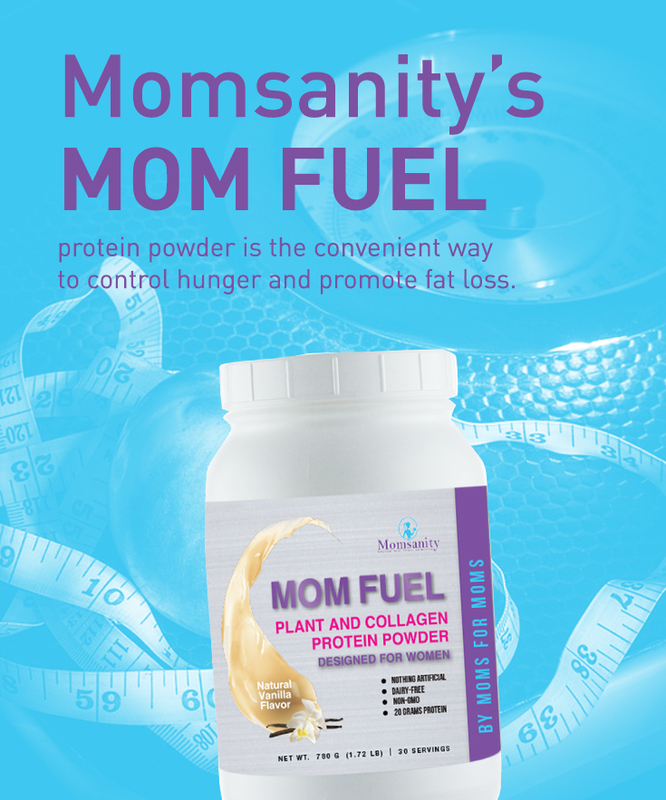 Momsanity’s MOM FUEL protein powder is the convenient way to control hunger and promote fat loss. 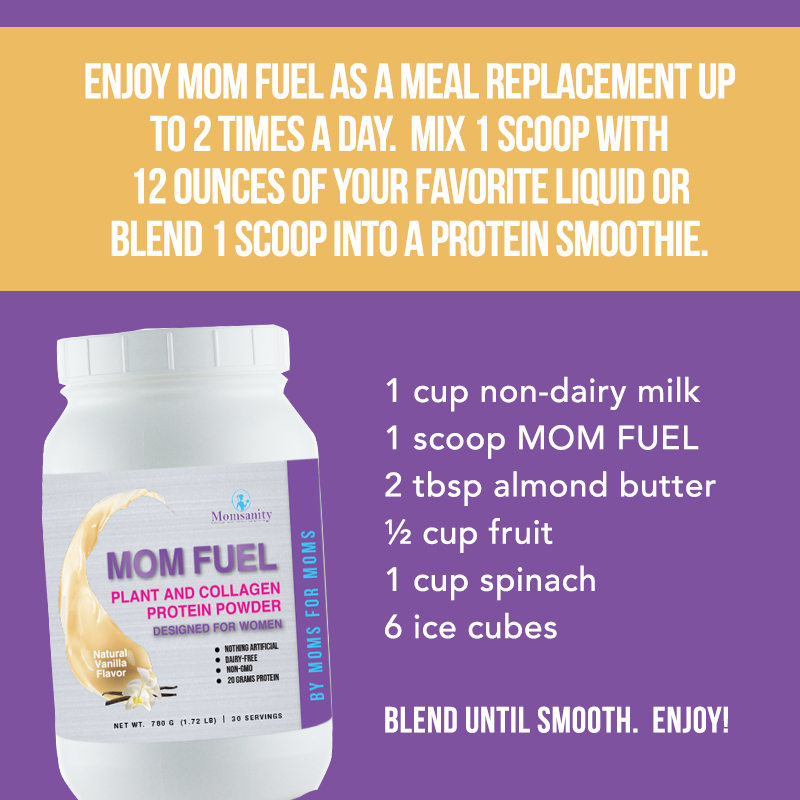 MOM FUEL slims and tones, boosts energy, and tastes delicious! 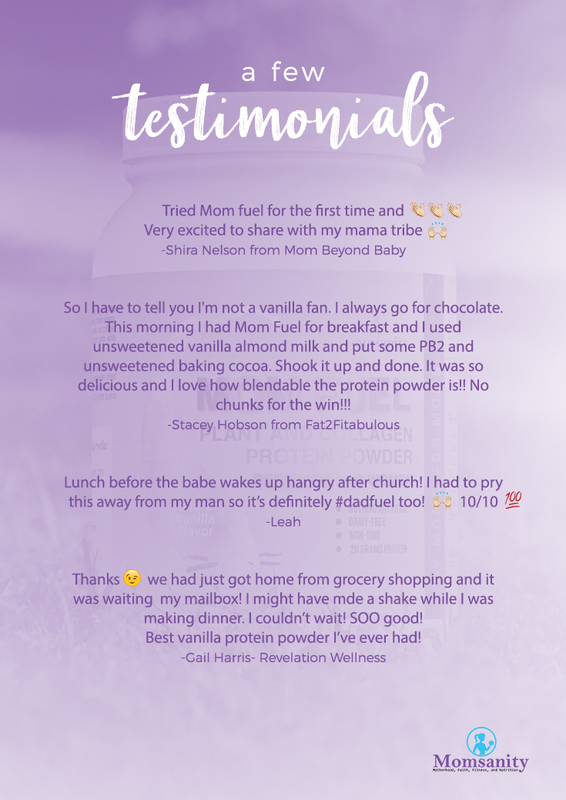 Our dairy-free blend of protein powder and collagen provides anti-aging benefits for your hair, skin, nails, and joints and promotes healthy digestion. 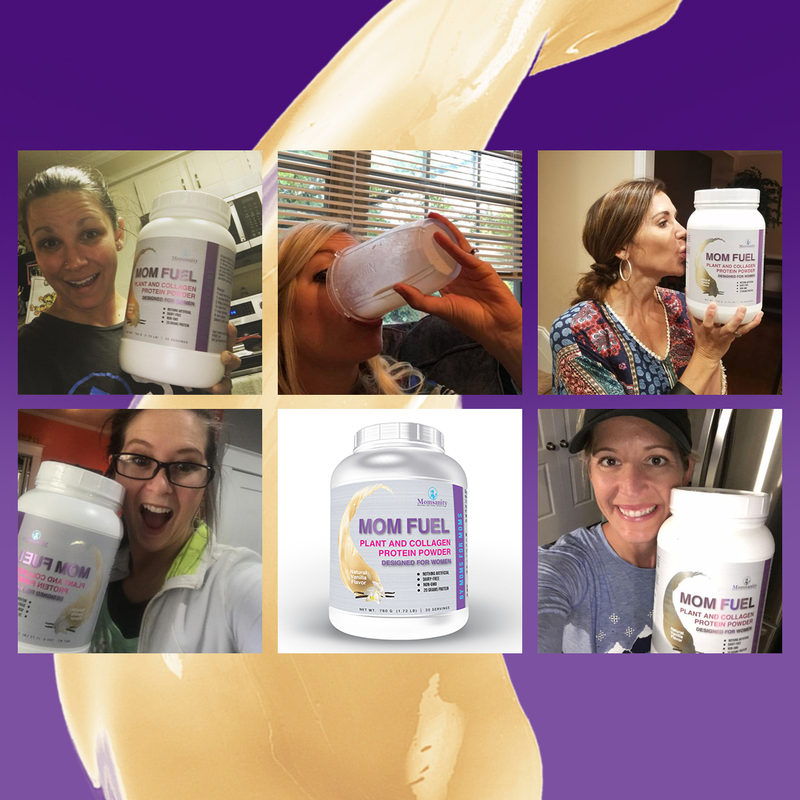 MOM FUEL contains no artificial sweeteners, no artificial flavors, no preservatives, no GMOs, no dairy, and no gluten. Our antioxidant blend helps to detoxify the body from the many chemicals we’re exposed to daily. Because our protein contains only the best ingredients, it’s a great source of nutrition for the whole family! When you purchase Mom Fuel you will also find a link on our label that will allow you to download 5 more favorite recipes. Go ahead and check them out HERE. P.S. We’re not the only ones who LOVE Mom Fuel. 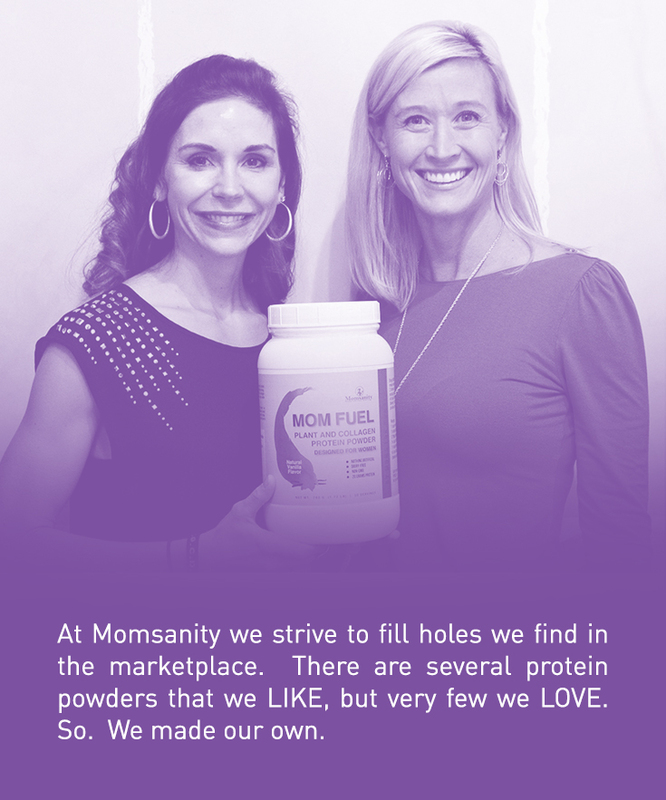 We have a FANTASTIC team of fitness professionals who are ambassadors for our Momsanity products and they LOVE our product too!